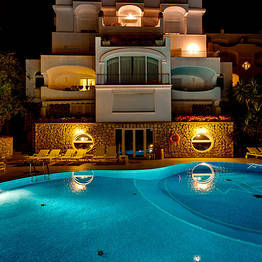 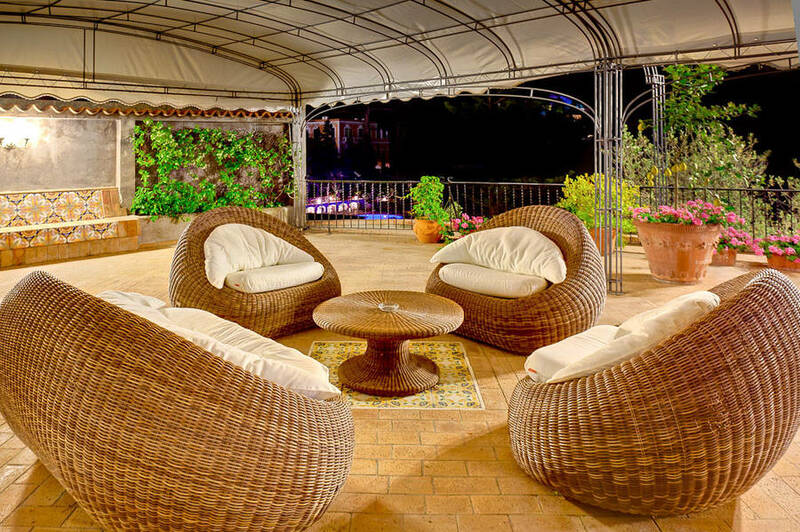 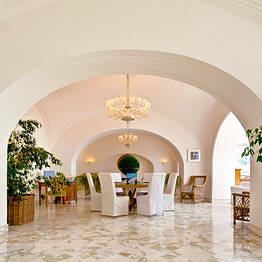 Elegant Mediterranean interiors, genuine island hospitality, and tranquillity. 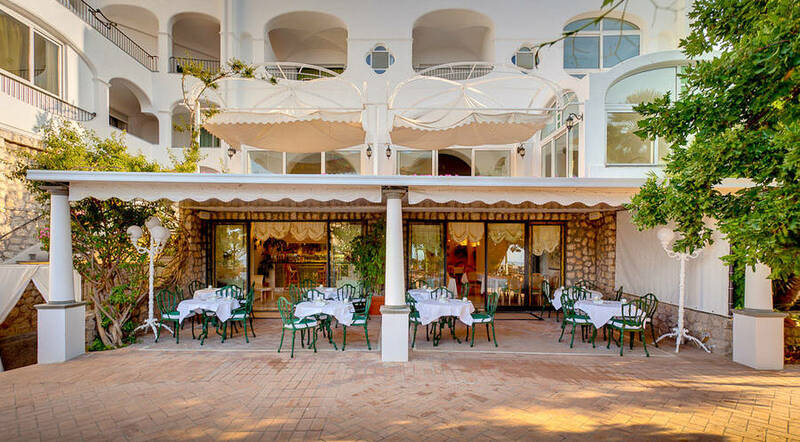 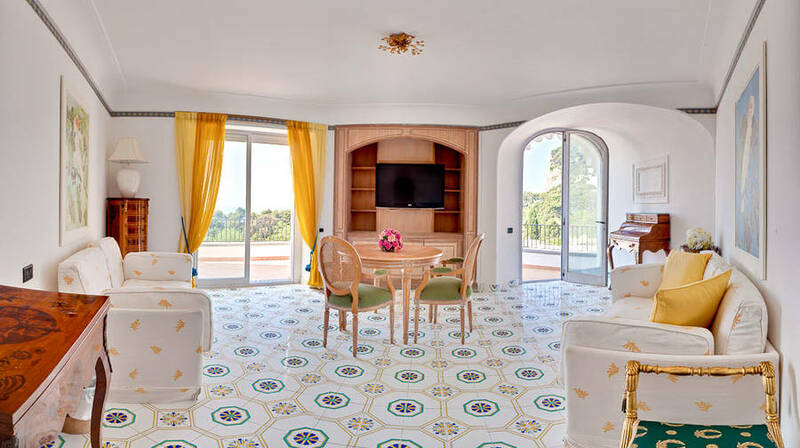 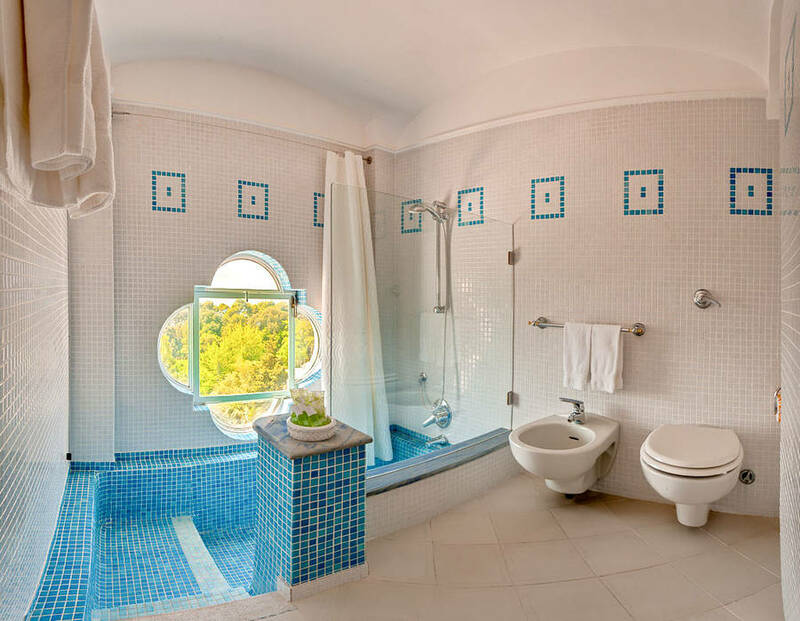 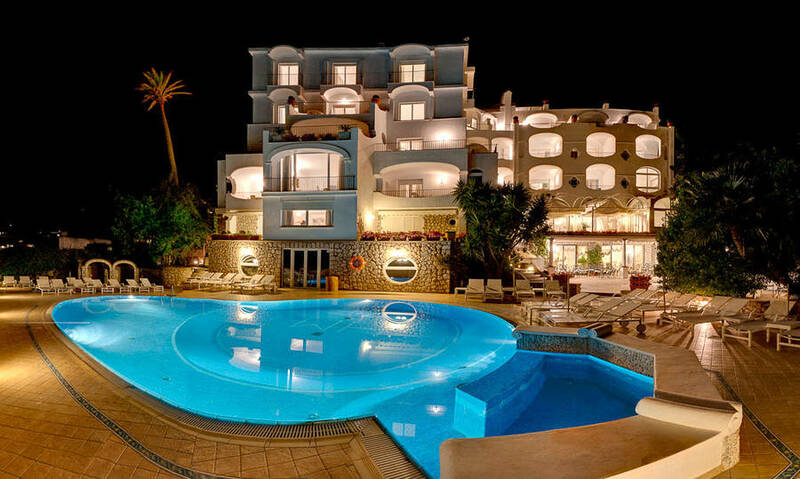 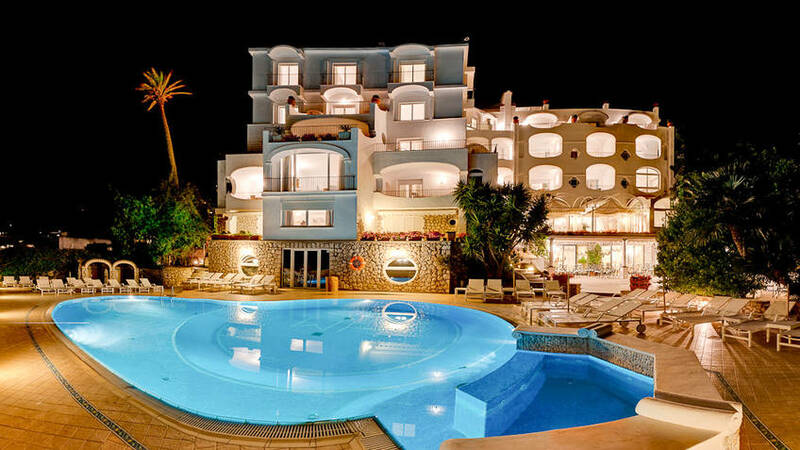 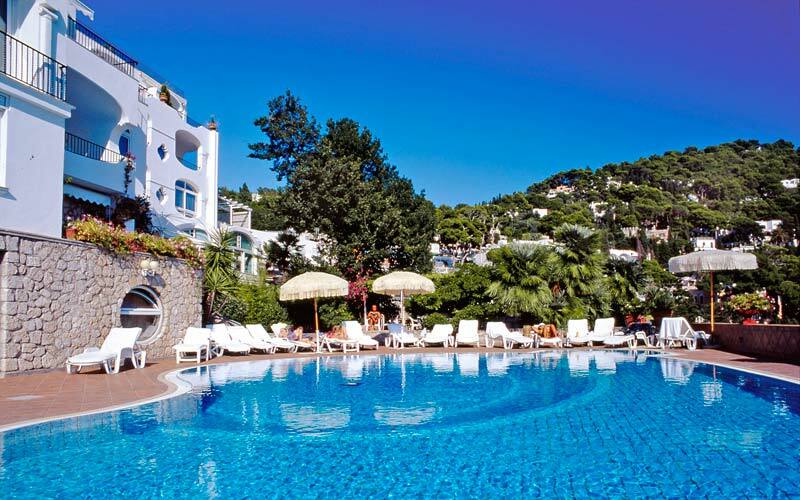 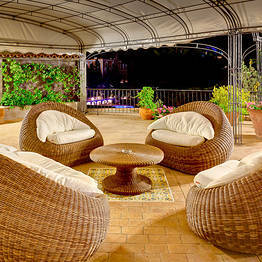 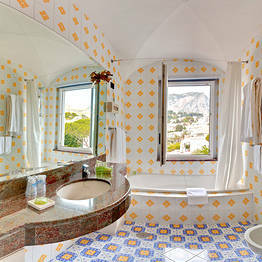 This is what guests can expect to find at Capri's Hotel Mamela. 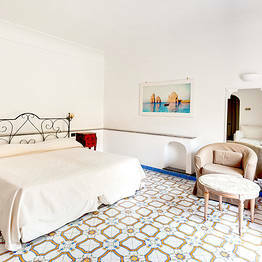 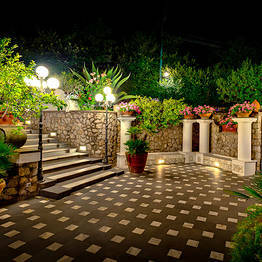 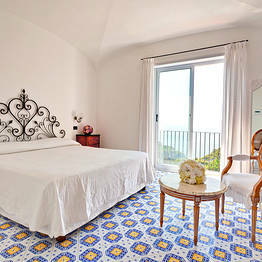 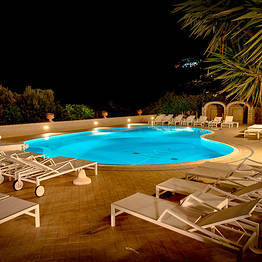 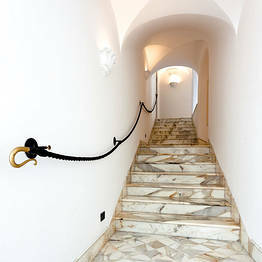 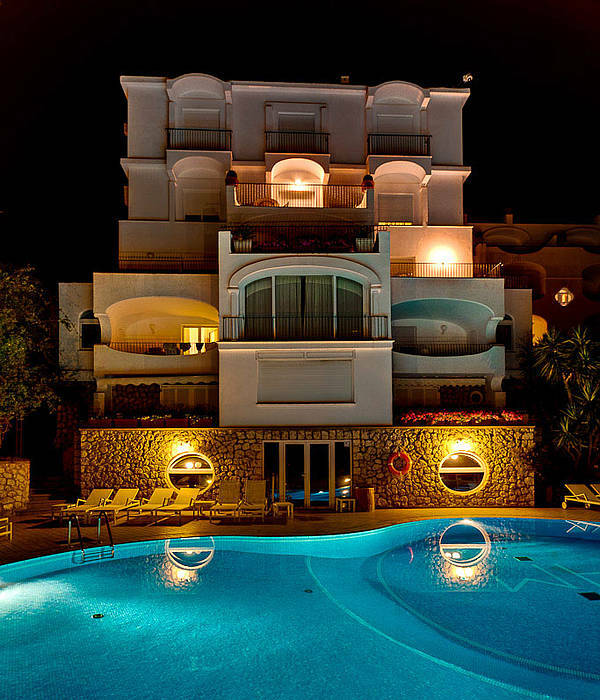 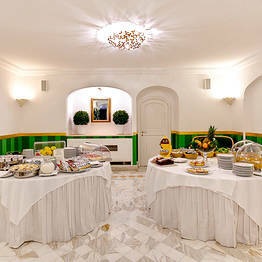 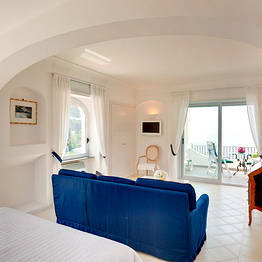 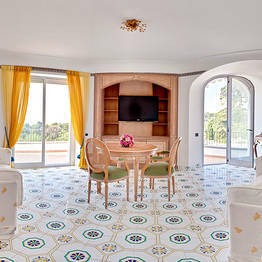 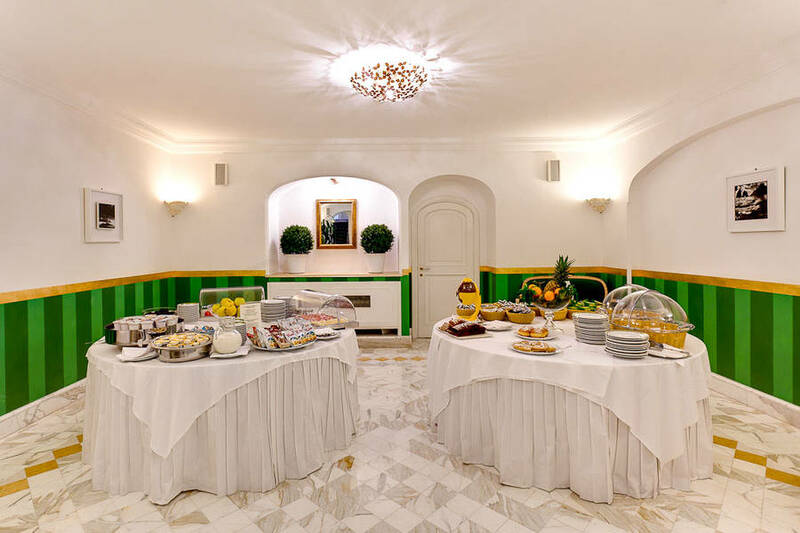 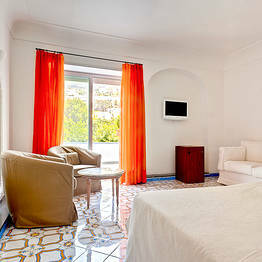 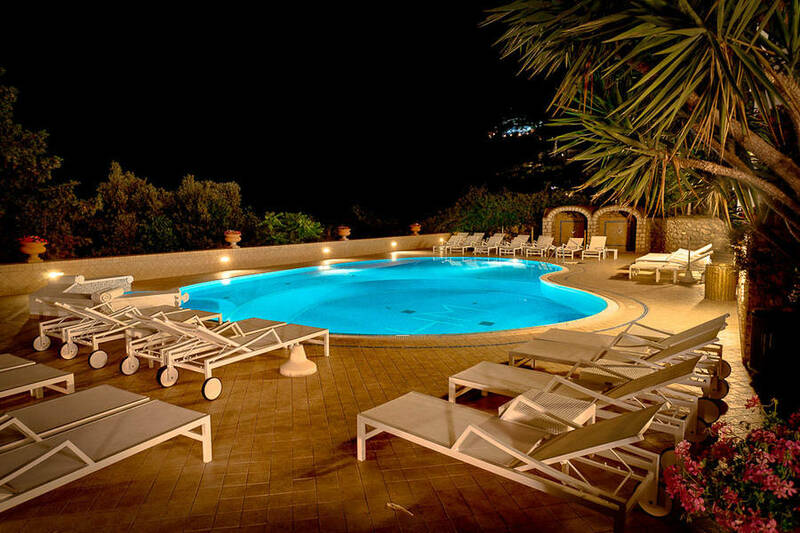 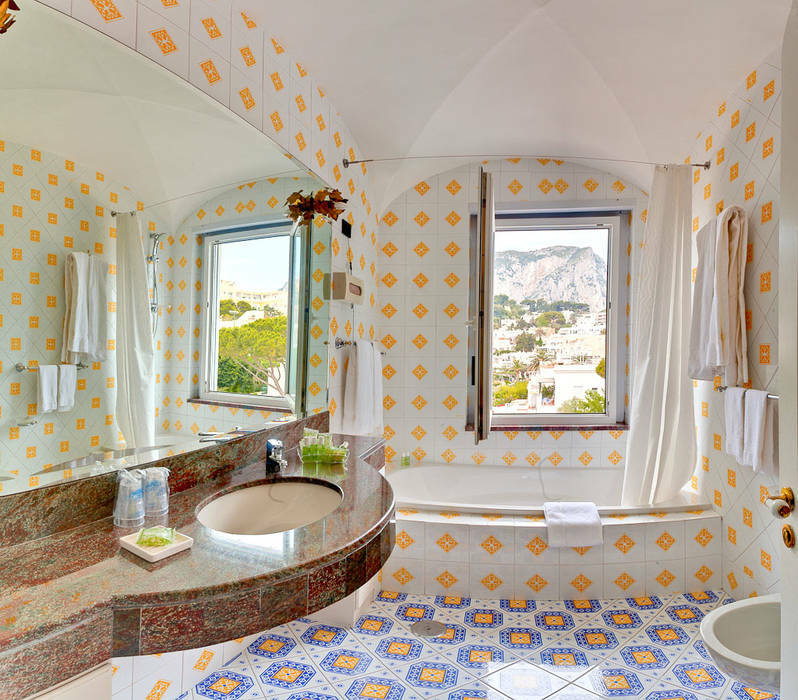 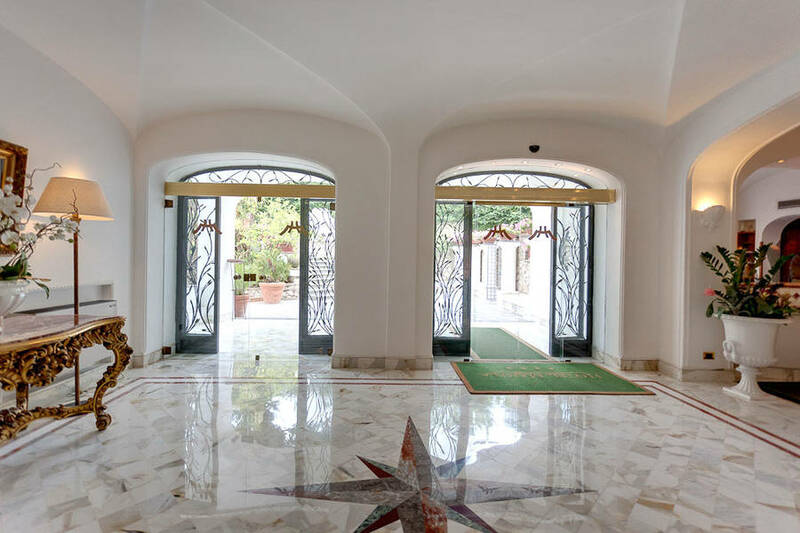 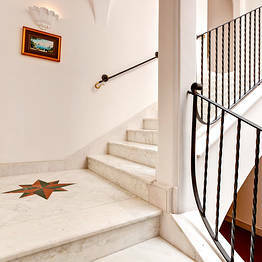 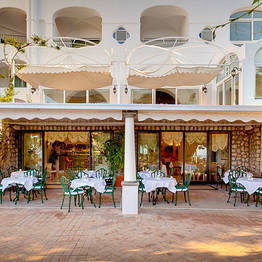 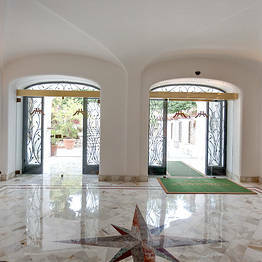 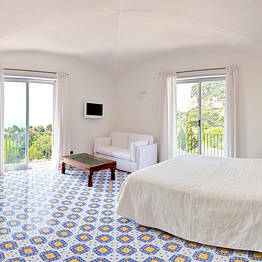 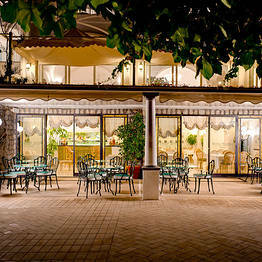 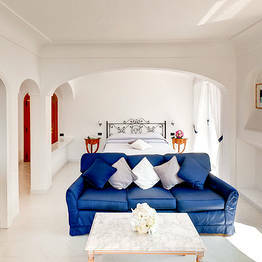 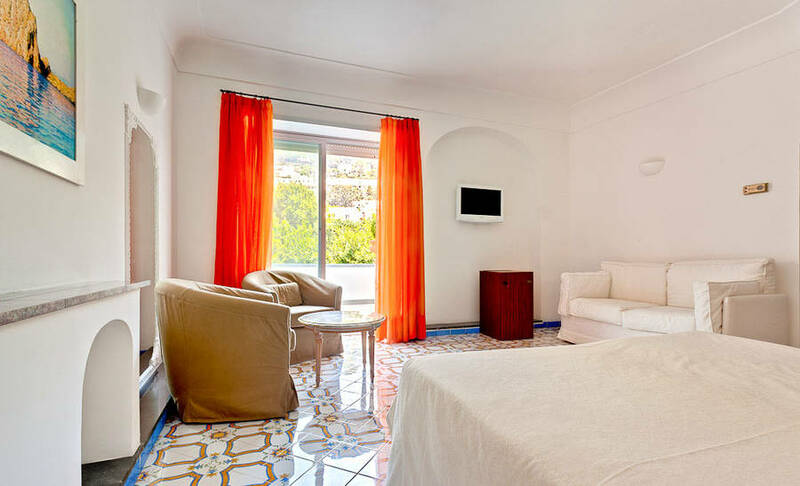 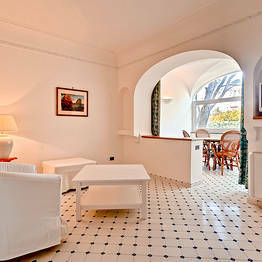 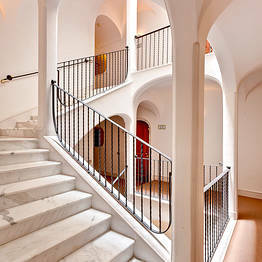 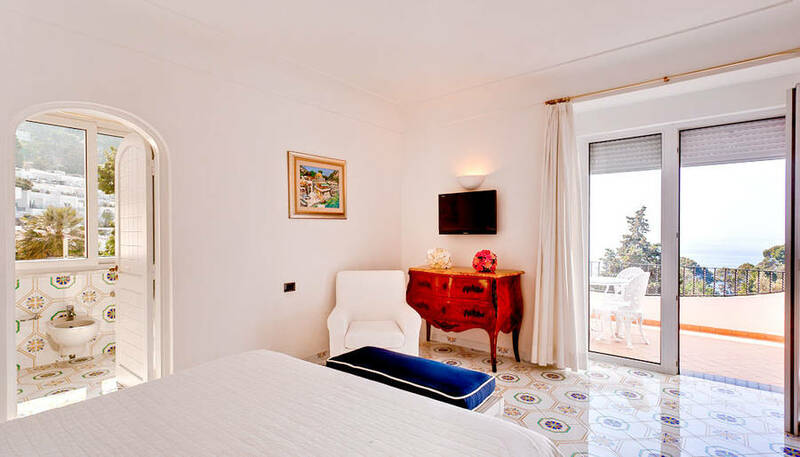 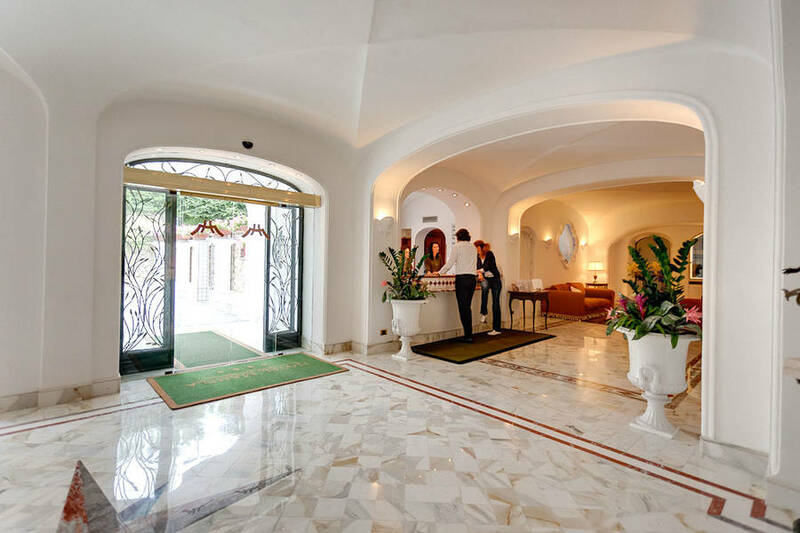 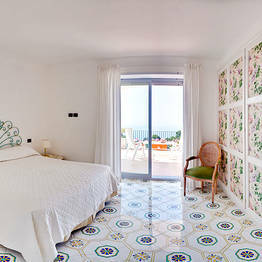 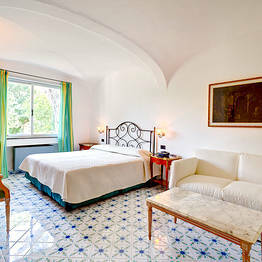 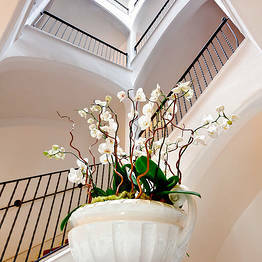 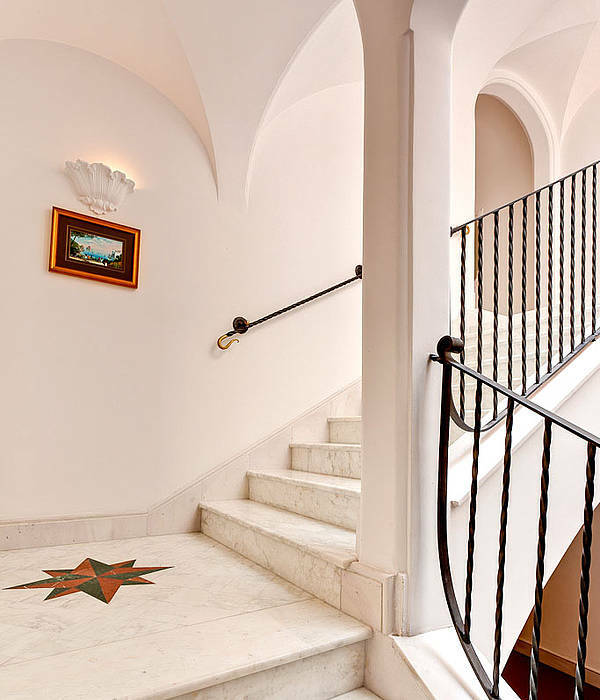 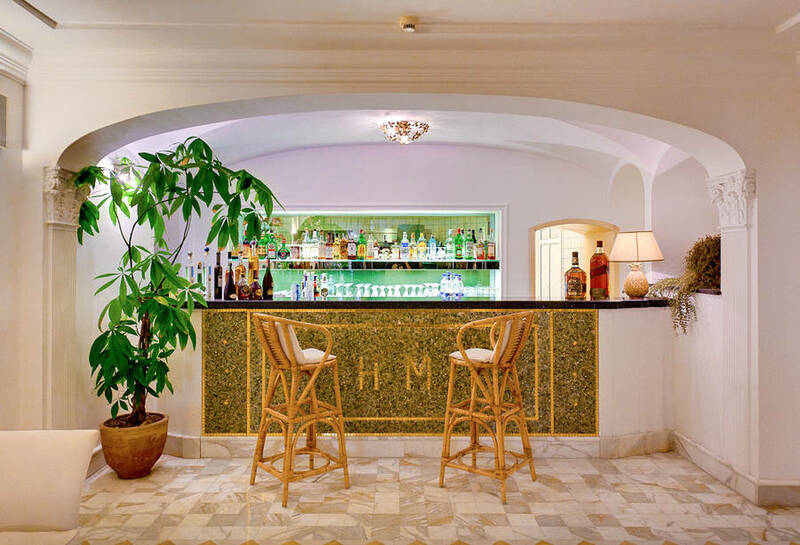 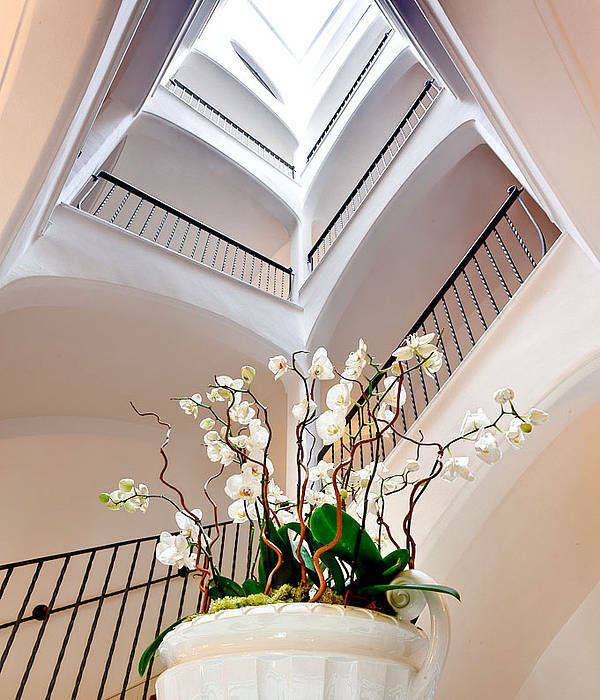 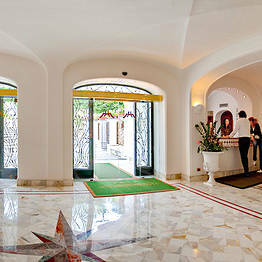 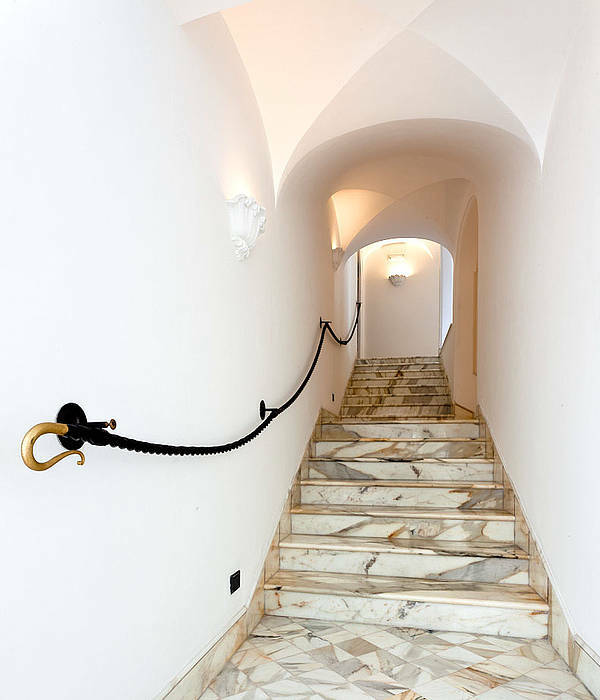 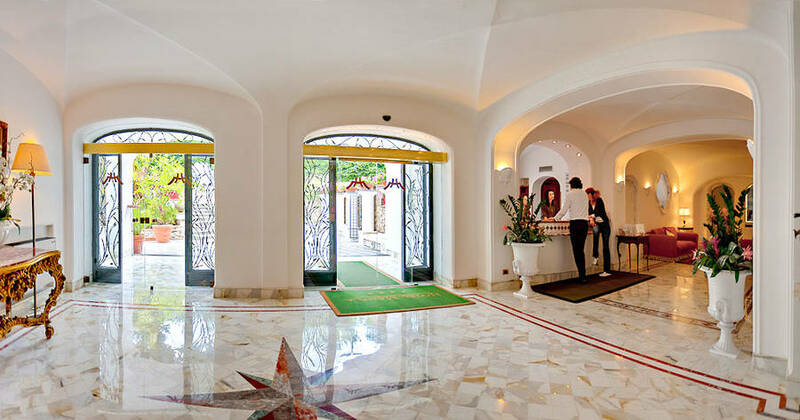 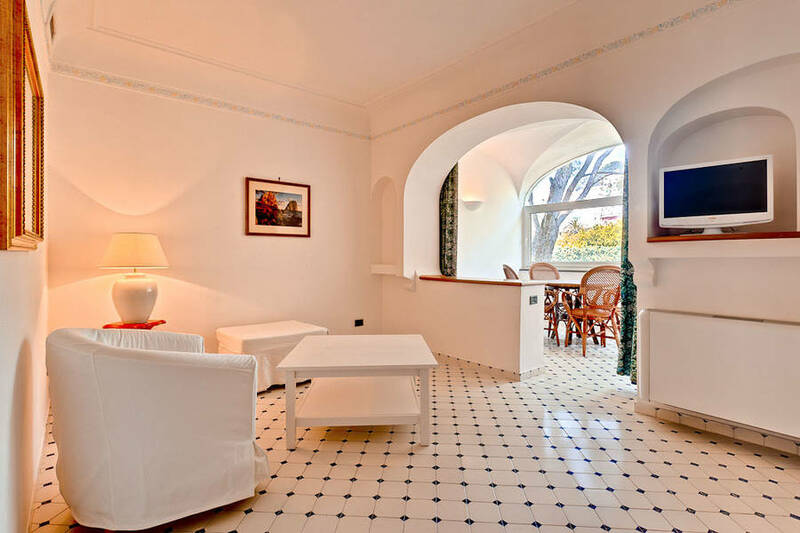 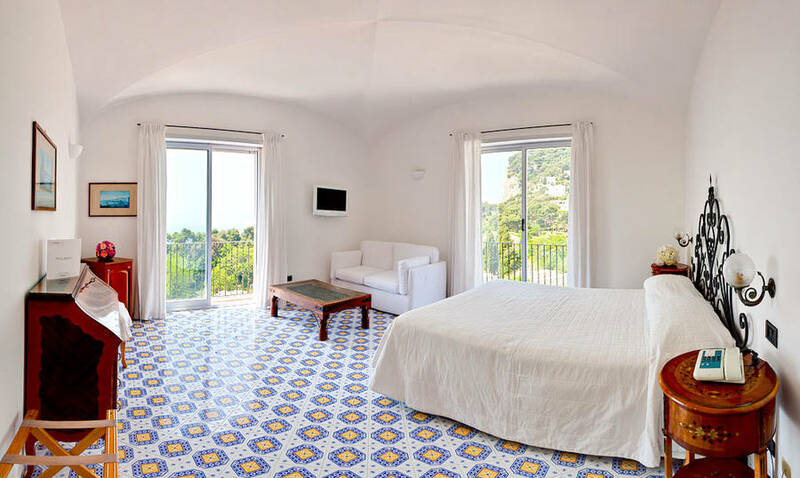 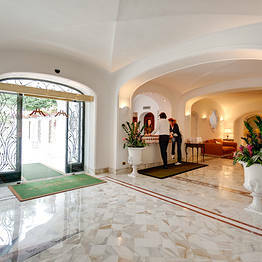 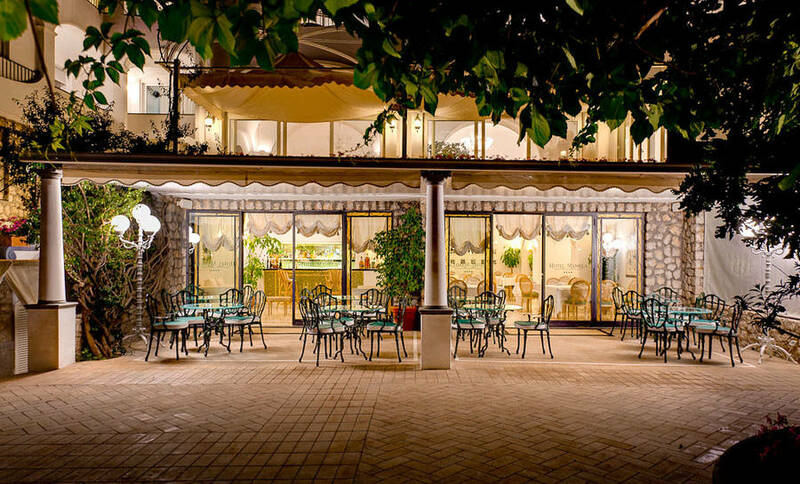 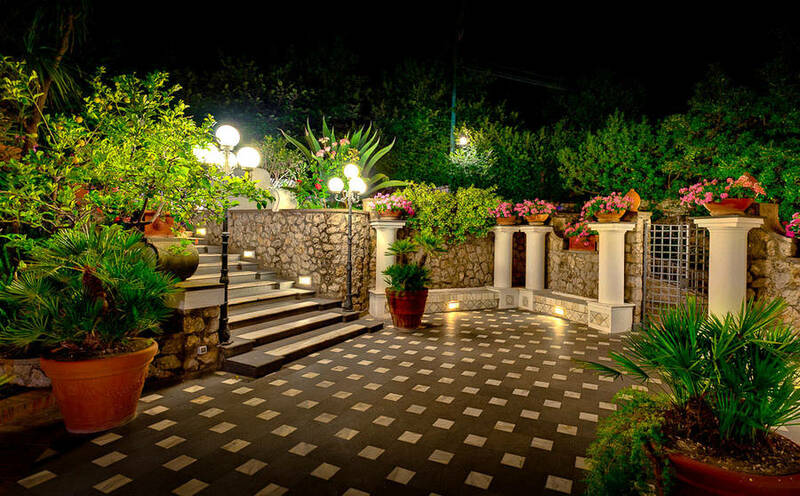 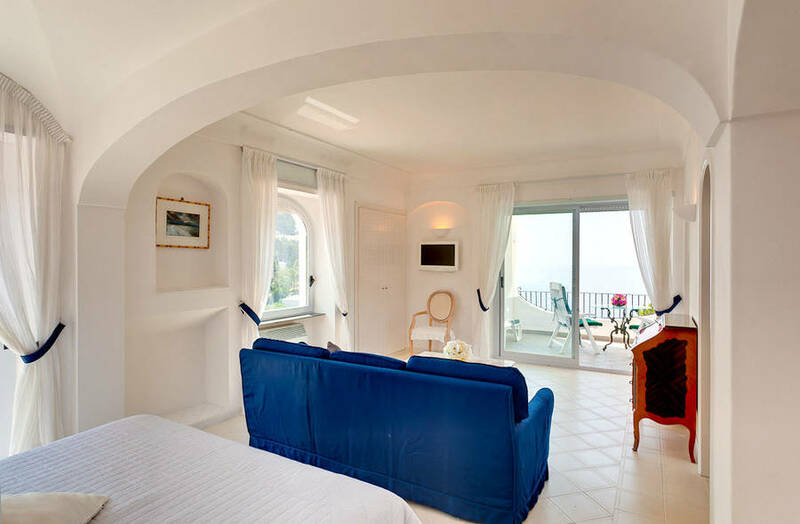 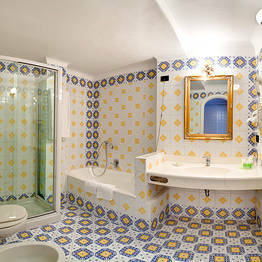 Just a few steps separate the hotel from the very heart of the town and some of Capri's most-loved tourist attractions. 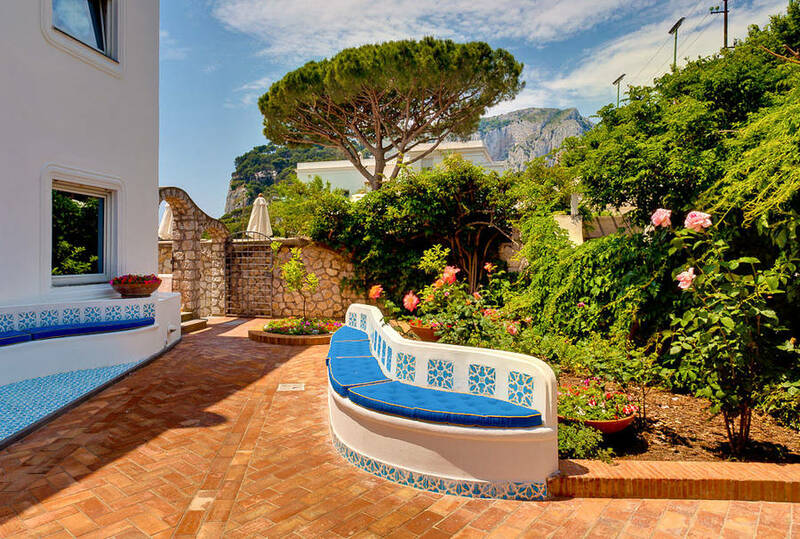 A pleasant, five minute walk along the picturesque pathways of Capri is all it takes to reach the Gardens of Augustus, the Charterhouse of San Giacomo and, via the exclusive shopping street of Via Camerelle, the world-famous Piazzetta. 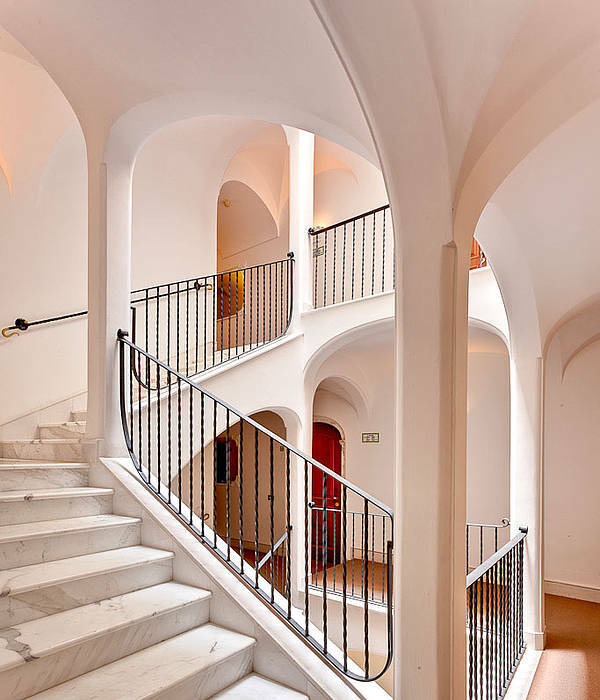 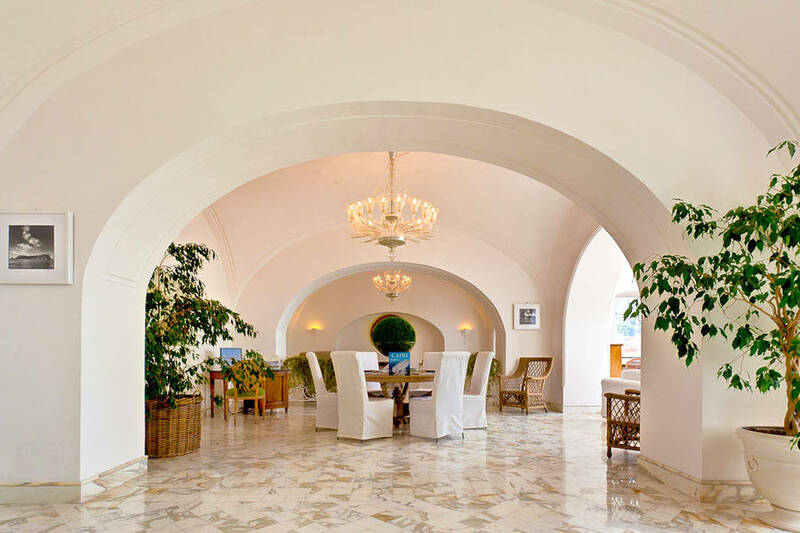 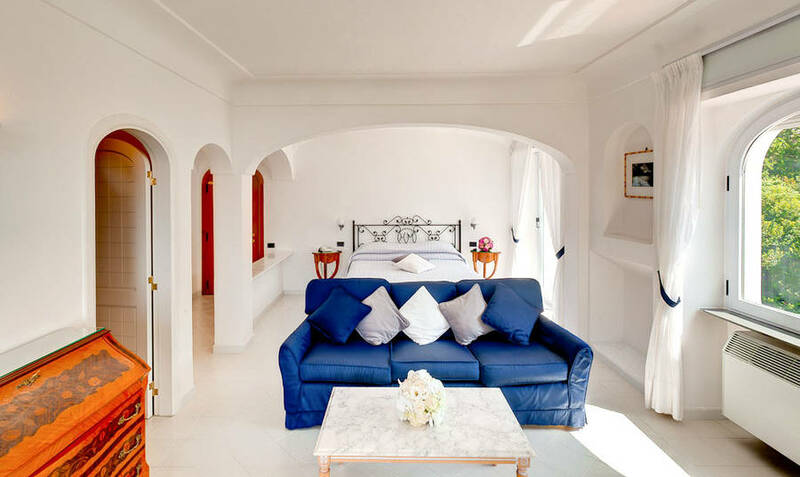 A fine example of traditional island architecture, the hotel building constitutes a beautiful composition of graceful arches, sturdy columns, sunny terraces and shady porticoes, embellished with stucco work and precious marbles. 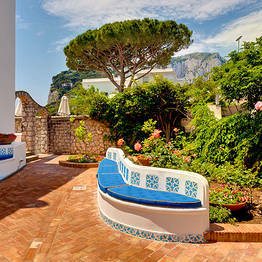 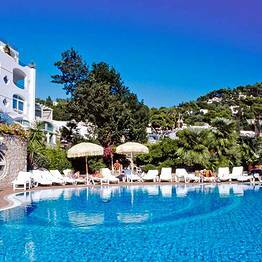 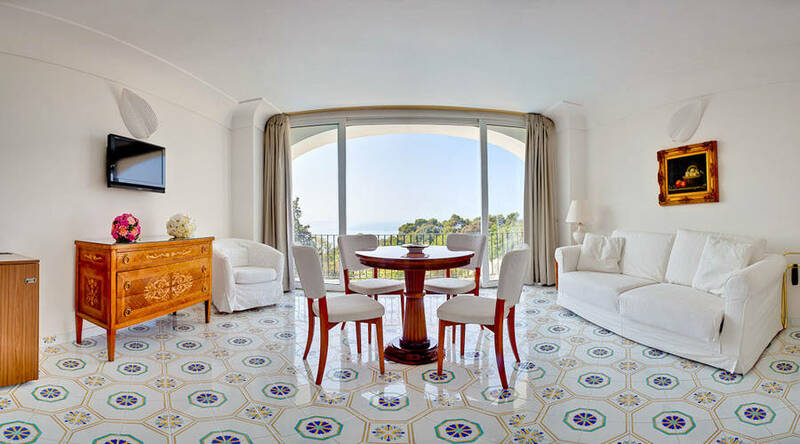 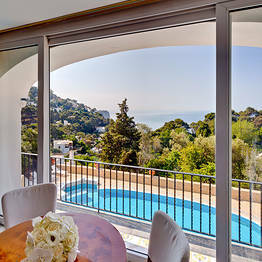 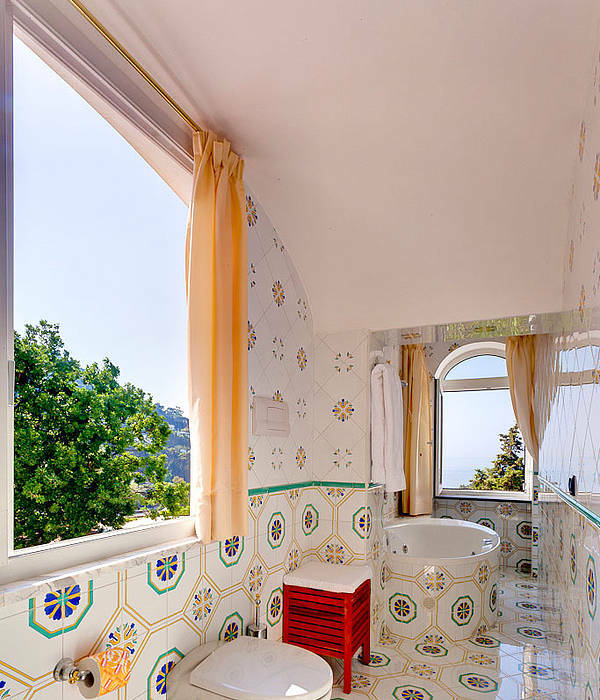 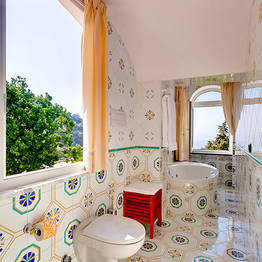 From the windows and terraces of Hotel Mamela, the view extends as far as the sea of Capri. 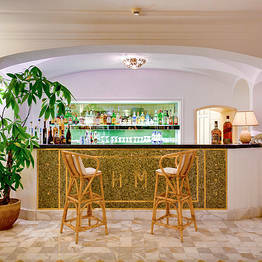 Gardens brimming with colourful bougainvillea provide the idyllic setting for the hotel's swimming pool and solarium. 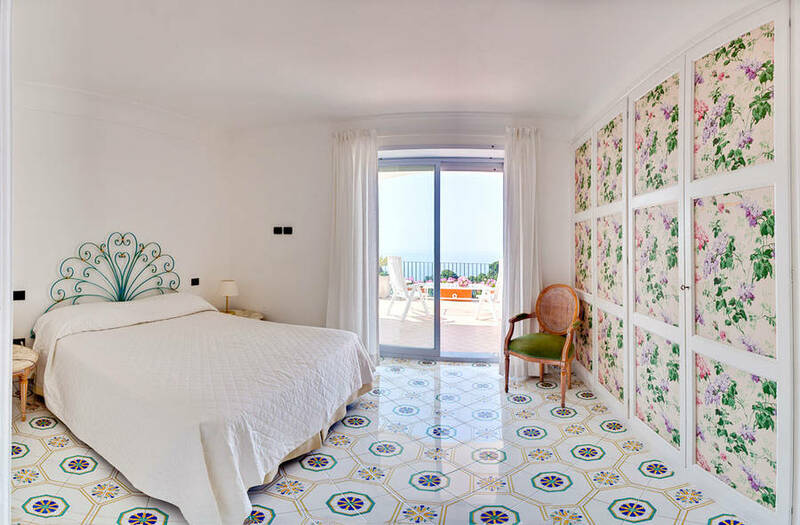 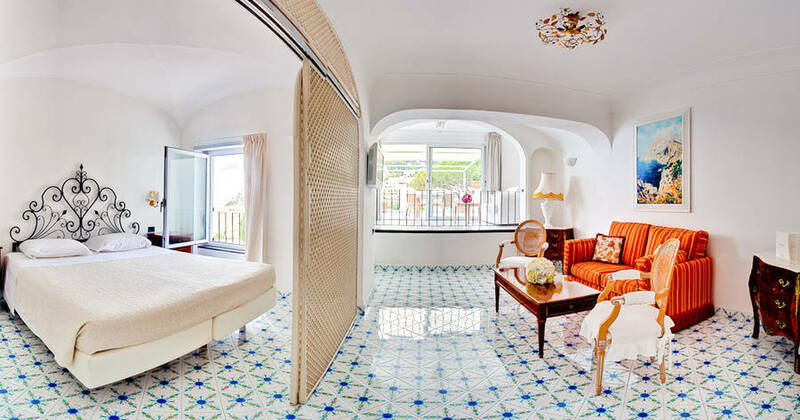 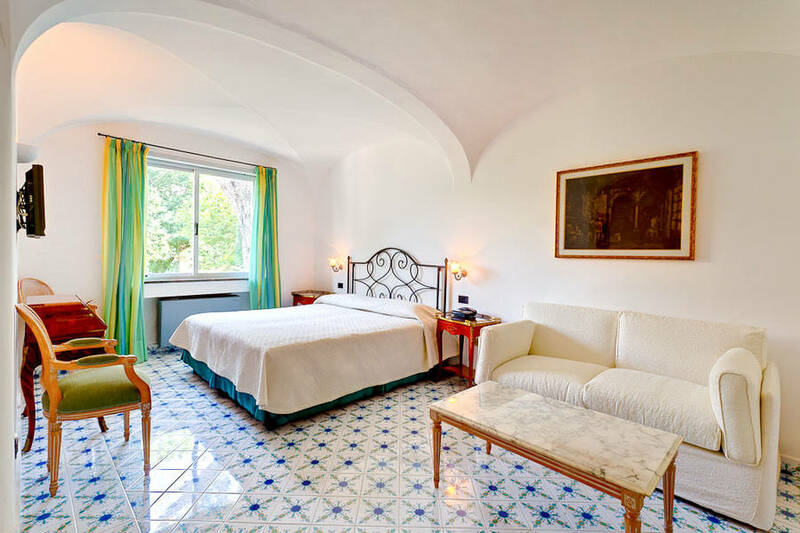 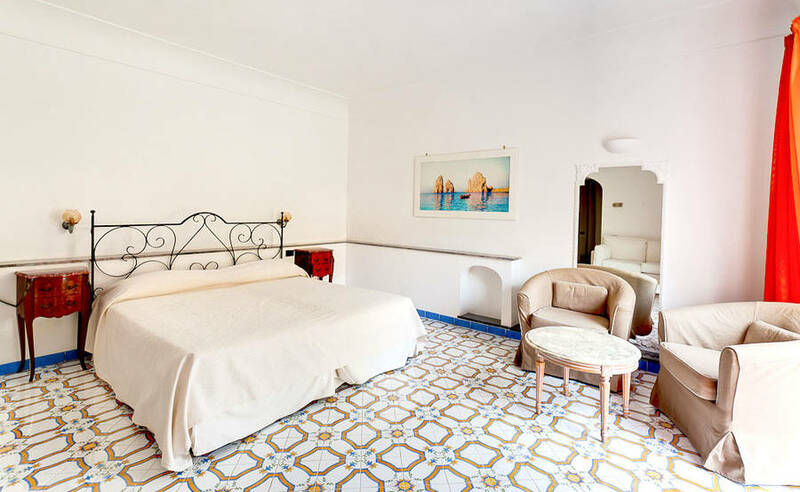 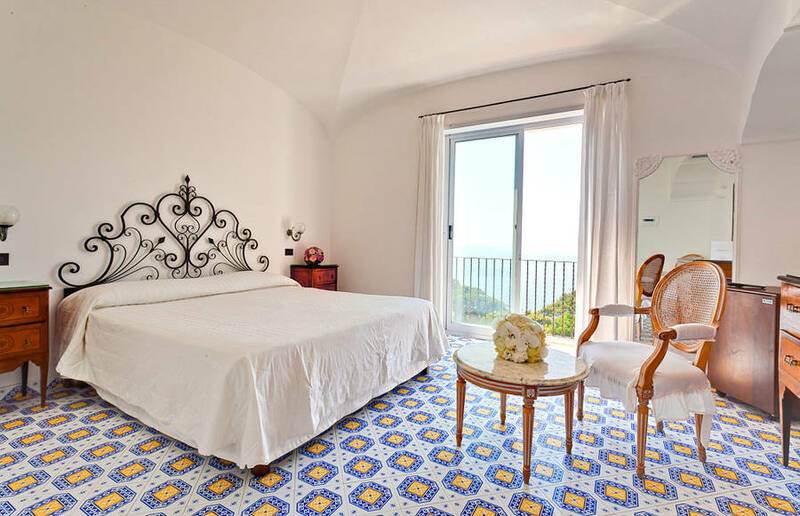 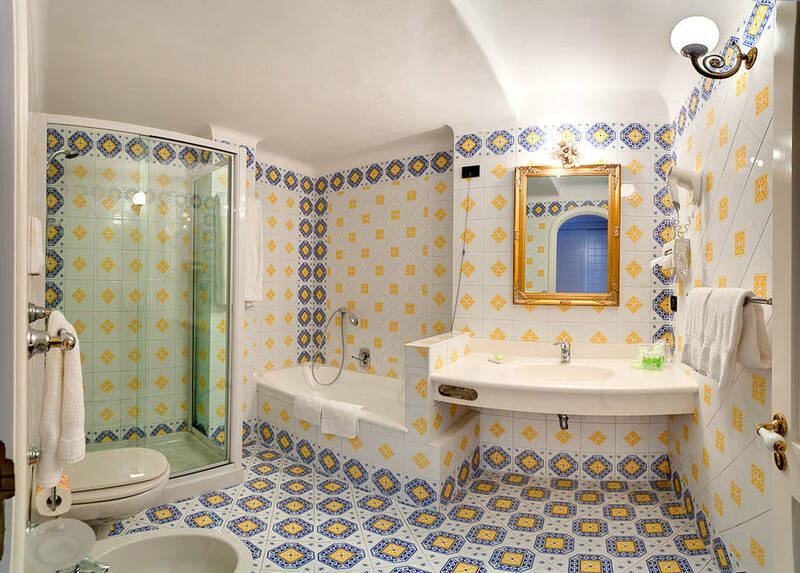 Hotel Mamela's bedrooms are elegant spaces in which to find exquisite pieces of period furniture and floors paved with traditional majolica tiles. 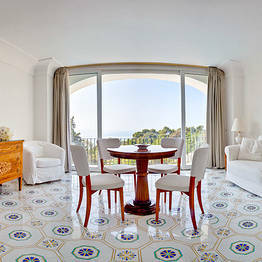 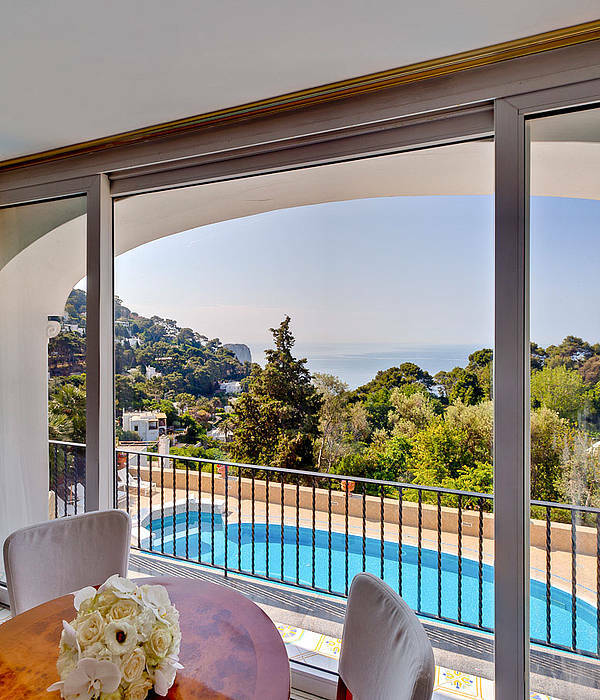 Light floods in through the large windows, many of which open out on to balconies and terraces from where splendid views of the sea can be seen.